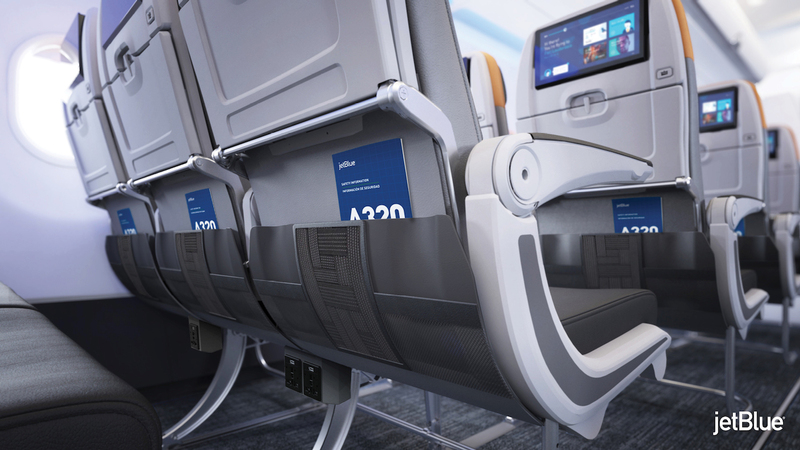 JetBlue, the sixth-largest airline in the USA, has unveiled all-new aircraft interiors, which will be installed across its fleet of 130 Airbus A320s over the next three years. 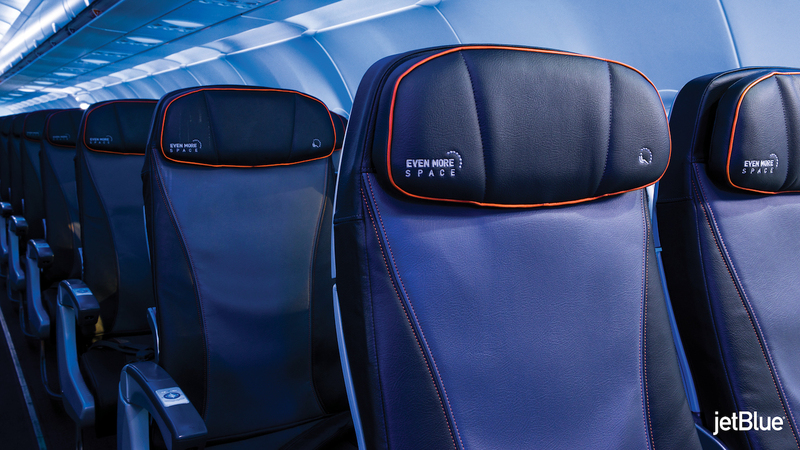 The first restyled aircraft – aptly named Bravo Lima Uniform Echo (BLUE) – marks the first major overhaul of the airline’s original A320 fleet since the New York-based carrier launched in 2000, with a major focus of the project involving an upgrade of the seating and IFEC systems. 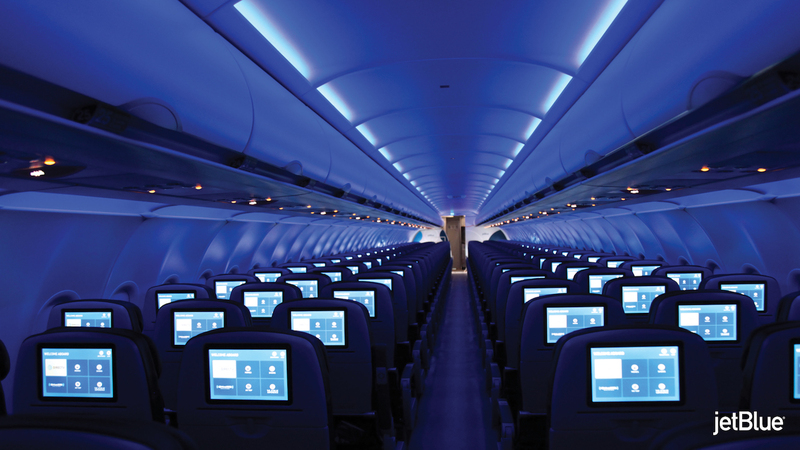 There will be two phases for the restyling project, with aircraft upgraded during 2018 – which JetBlue refers to as ‘A320 classics’ – being fitted with features from the airline’s A321 interiors including Pinnacle seats from Rockwell Collins, and LiveTV 4 entertainment options – but not the Mint product (SEE HERE). The Pinnacle seats will be fitted with in-seat power, adjustable headrests, and custom stowages including a water bottle holder. 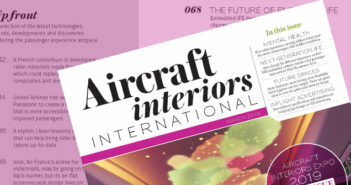 The A320s upgraded during 2019 onwards will transition to the Meridian seat from Rockwell Collins and Thales Avant and ViaSat-2 IFEC products. 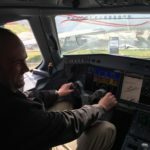 In 2019, JetBlue will outfit its A320 aircraft with the popular Rockwell Collins Meridian seat, a model used by several airlines, including fellow US airline United in its B737 MAX 9 fleet. 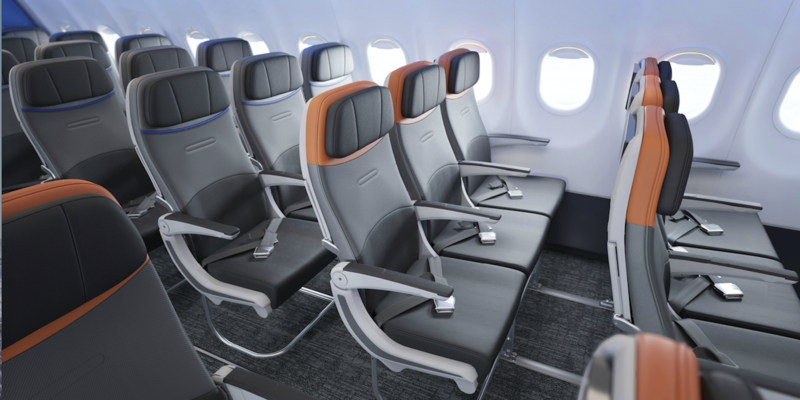 Further custom features include enhanced cushion comfort, adjustable headrests, a contoured seatback at knee level for additional living space, redesigned seatback stowage options, including an elastic grid to contain items, and at least two power connections at every seat. 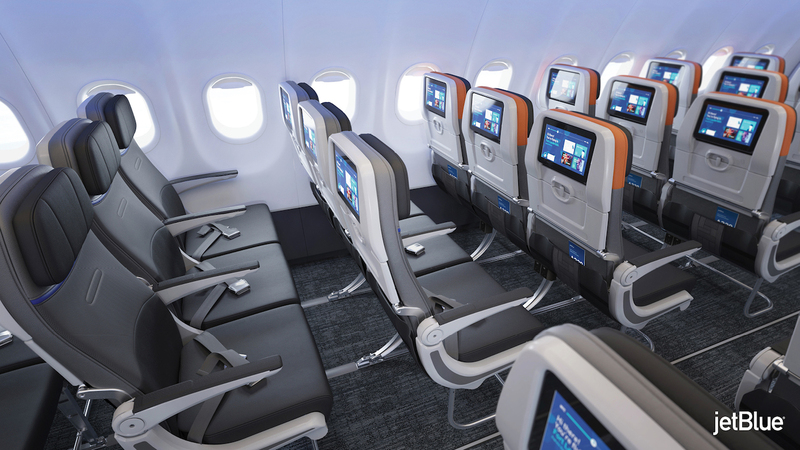 The seats installed in 2019 onwards will also feature new 10.1in Thales Avant 1080P high-definition seatback IFE displays (up from today’s 5.6in), more than 100 channels of live television (up from 36), an expanded collection of on-demand content, plus new gaming features. The system software will also be boosted with destination-specific content, closed captioning, a picture-in-picture function, and an enhanced 3D flight map. 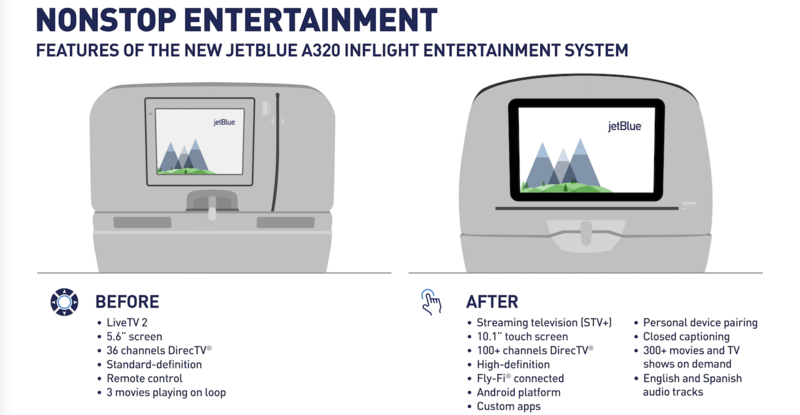 The 2019 upgrades will also include a move to ViaSat-2 connectivity, providing coverage to nearly the entire JetBlue network, and an NFC pairing function that enables personal handheld devices to function as remote controls or gaming controllers.